Select the font style you prefer. Enter a name or brief little message. 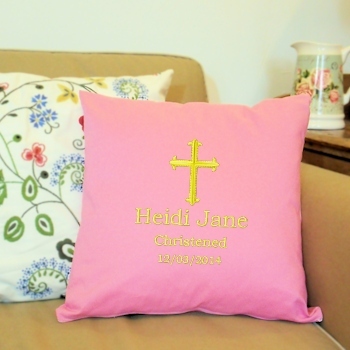 This personalised cushion is a wonderful keepsake gift to commemorate a baptism, Christening, wedding, anniversary, birthday, housewarming gift or holiday! Bespoke gifts are custom made to order - usually within 3 days.